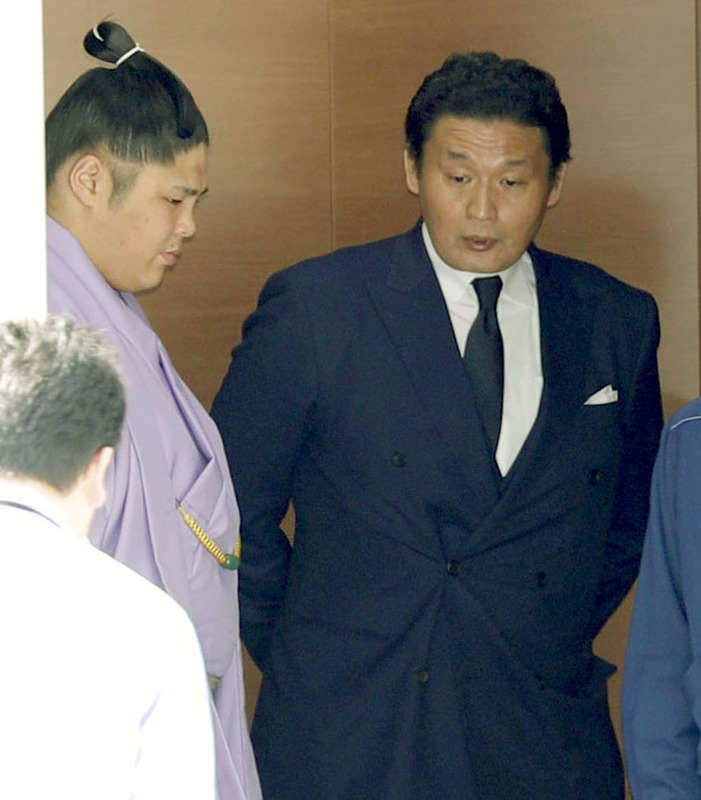 Sumo elder Takanohana, who has been faulted for his absence from the most recent Spring Grand Sumo Tournament and the failure to supervise a wrestler from his stable, was handed a two-rank demotion by the Japan Sumo Association on Thursday. With the long-standing friction between Takanohana and the governing body still an issue, the JSA faces fears of sumo’s popularity suffering further after scandals and criticism that it has failed to address violence outside the ring. On Thursday, the JSA board met to decide Takanohana’s punishment at Tokyo’s Ryogoku Kokugikan, a day after he apologized for his behavior at an extraordinary meeting for sumo elders. He was demoted two ranks within the JSA’s hierarchy to the lowest of seven ranks, meaning he has been demoted by five ranks since January. Takanohana, who failed to regain a director seat on the JSA board in February’s election, will not be eligible to join board meetings with his latest demotion. 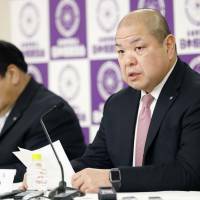 Earlier this month, it was revealed that the 45-year-old stablemaster submitted a letter to the Cabinet Office’s public certification committee over the JSA’s handling of the assault scandal involving former yokozuna Harumafuji and victim Takanoiwa, a wrestler in his stable. Takanohana opted not to show up at the spring tournament venue for two straight days, and he later defended his behavior in a statement on his stable’s website. Meanwhile, Takayoshitoshi was given a one-tournament ban. 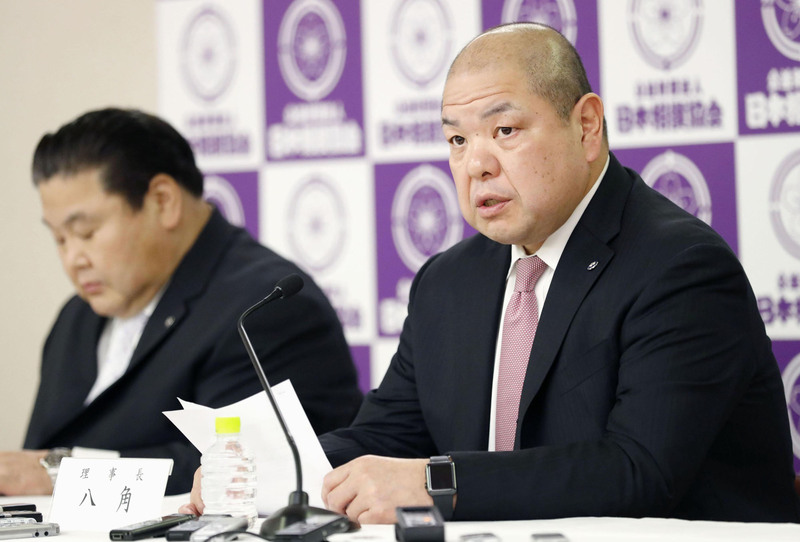 The jūryō-division wrestler was forced to pull out of the spring meet a day after the assault came to light. Sumo is struggling to rebuild its tarnished image, with the scandal that led to the retirement of Harumafuji in December causing Emperor Akihito and Empress Michiko to skip their New Year tournament visit. Before and after the incident surrounding Harumafuji — in which he injured Takanoiwa, a junior wrestler, in an alcohol-fueled attack during a regional tour last fall — the world of sumo saw a string of scandals that severely damaged its reputation. In January, sumo’s chief referee resigned for sexually harassing a teenage referee, and earlier this month, Egyptian wrestler Osunaarashi was asked to retire as punishment for being involved in a car accident while driving without a license.